Northern Cyprus is a state encompassing the northern half of the island of Cyprus, recognised as an independent nation only by Turkey. There is a large Turkish military presence in the area, considered by the government of the Republic of Cyprus and the rest of the international community to be an occupying force. A partition line runs down the centre of the island, through the city of Nicosia which serves as capital for both the Republic of Cyprus and Northern Cyprus. Greeks first started moving to Cyprus in the 2nd millennium BC. It has been occupied by many of the world’s major powers since, including the Ottoman Empire between 1571 and 1878. Control of Cyprus was granted to the United Kingdom in 1878, and it was formally annexed by the UK in 1914 until being granted independence following nationalist violence in 1960. Roughly 75% of the population was of Greek Cypriot descent who mostly advocated for ‘Enosis’ – joining the country with Greece. Roughly 20% of the population was of Turkish Cypriot descent who favoured ‘Taksim’ – partitioning the island into two distinct communities. In 1963, inter-communal violence broke out between the Greek and Turkish Cypriot communities that inhabited the island, resulting in many thousands of Turkish Cypriots being displaced from their homes, the end of Turkish representation in the Cypriot legislature and hundreds of people dying on both sides. The troubles subsided in 1967, until a coup d’etat by the Greek Army in Cyprus in 1974. This was seen by the Turkish as an attempt by Greece to annex the Republic of Cyprus, and Turkey invaded the north side of the island. Greek Cypriots were driven south while Turkish Cypriots fled north. The Greek military regime that had taken control collapsed quickly and the former Cypriot government returned – but the Turkish army didn’t leave and in 1983 the Turkish Republic of Northern Cyprus declared its independence. The government of the Republic of Cyprus considers the Turkish military presence to be an occupying force and the Turkish presence has been denounced by the UN Security Council. So far, attempts to resolve the Cyprus situation have failed. 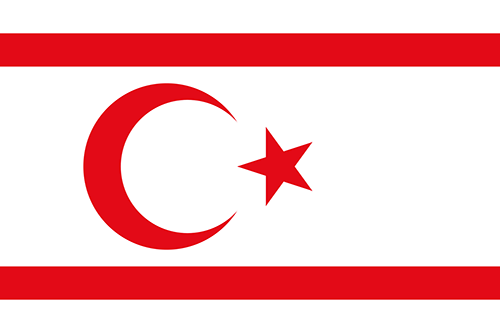 Despite not being members of FIFA, Northern Cyprus took part in the 1980 Islamic Games against full FIFA members, although after the declaration of independence in 1983 FIFA stopped tolerating their participation. They participated in the 2006 FIFI Wild Cup, the first organised non-FIFA World Cup hosted in St. Pauli in Germany, and won the tournament by edging past Zanzibar on penalties in the final. Later that year they took part in the ELF Cup, winning again. They then took part in the 2012 VIVA World Cup, a predecessor tournament of the ConIFA World Cup but lost in the final to Iraqi Kurdistan. Since joining ConIFA, they have played the 2016 ConIFA World Cup, where they won the bronze medal after losing in the semi-final to hosts and eventual champions Abkhazia. Last year they played the 2017 ConIFA European Cup where they finished as runners up after losing on penalties to Padania in the final. After playing five organised tournaments, they boast an impressive record of two gold medals, two silvers and a bronze. They’ll certainly hope to be there or thereabouts come this summer in London. Their star player is Billy Mehmet, a youth prospect at West Ham who played for St. Mirren for five years and has played for ten clubs all over the world since leaving in 2010.